Eric T. Ray is a Partner of the firm and is a member of the Creditors Rights & Bankruptcy and Litigation practice groups. 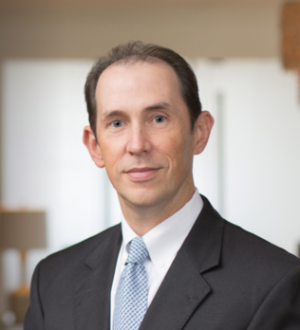 Eric's practice regularly includes the representation of utilities, financial institutions, lenders and other creditors in chapter 11 bankruptcy cases, adversary proceedings and other types of commercial litigation throughout the country. Mr. Ray is experienced in all facets of creditor representation and routinely represents creditors with respect to adequate assurance of payment, DIP financing, asset sales and purchases, executory contracts, preference litigation, bankruptcy appellate proceedings, out-of-court workouts and subprime litigation. He also represents creditors in collection matters and real property litigation in state and federal courts. In addition, Eric counsels the firm's utility clients in the development and implementation of client specific bankruptcy and collection related policies and procedures.